It is system of social organisation where one`s property is owned by the community. Historically back in 1949 communist revolutionaries led by Mao Zedong seized control of China. The Chinese Communist Party (CCP) came into formation in 1921 after being inspired by the Russian revolution. Chinese economic and political turmoil in the 1930s as well as Japan’s invasion of northern China, allowed Mao and the CCP to increase support and work towards a revolution. A CCP victory in China carved a way for a huge dynamic change in global affairs there after. As the most populous nation on Earth with 540 million people China was soon to be ruled by communism that gave way to an Asian Cold War. The people of China,though living in a country that was undergoing modernisation and industrial growth were under authoritarian leadership, rigid social control and eventual mass starvation. In the more modern day this was seen when Beijing hosted the 2008 Olympic Games. The Olympic flag has five coloured rings on it.These rings are interwoven representing unity of the five continents of Africa, America, Asia, Europe and Australia. Each colour represents each nations flag colours who partake in the competition every four years. Yet in the past decades China’s human rights record has been the known for being far from suitable. 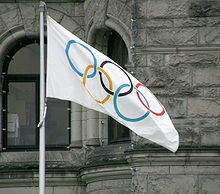 By it hosting the Olympics in 2008 China was set to receive boycotts from Human Rights Watch and Amnesty International. Tony Mangan is not a political figure. Nor is he one who preaches to masses to states on how they should govern their fiscal or economic policies. Rather, Tony has one defined but more international message which dictates to have ‘ Early Cancer Screening’. His message is one from experience of living a loved one and his passion is to preach to all in his path the importance of living well and being healthy. Is Tony Mangan a communist? as Communism wishes for people to have shared ownership of their property you could say that Tony is one as he is caring and open to share his good word. Is he a communist if he shares his little push cart, or is there really someone who wants to push it with him? who knows! One thing is for certain though, Tony may not have run in the Olympics but his international appeal is growing and he is uniting all continents as he crosses the main colours that they posses. As the Olympic motto says: “Faster, Higher, Stronger” Tony Mangan exudes these qualities bringing people together and spreading good cheer throughout welcoming China as he trots along his way.